Starting from the Grand Harbour in Valletta, beneath Fort St Angelo and the Saluting Battery, the fleet heads northeast along the coast of Sicily, towards the Straits of Messina. You can usually spot Mount Etna and hear the Volcano rumble. 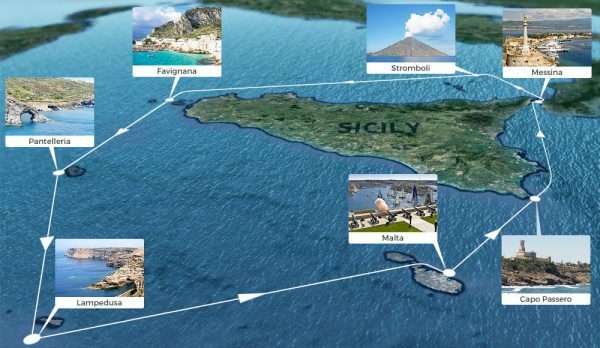 The course heads north from the Straits in the direction of Stromboli, another active volcano, where the yachts then turn west to the Egadi Islands. After reaching Favignana the fleet heads south towards the island of Lampedusa with the island of Pantelleria on their port side. 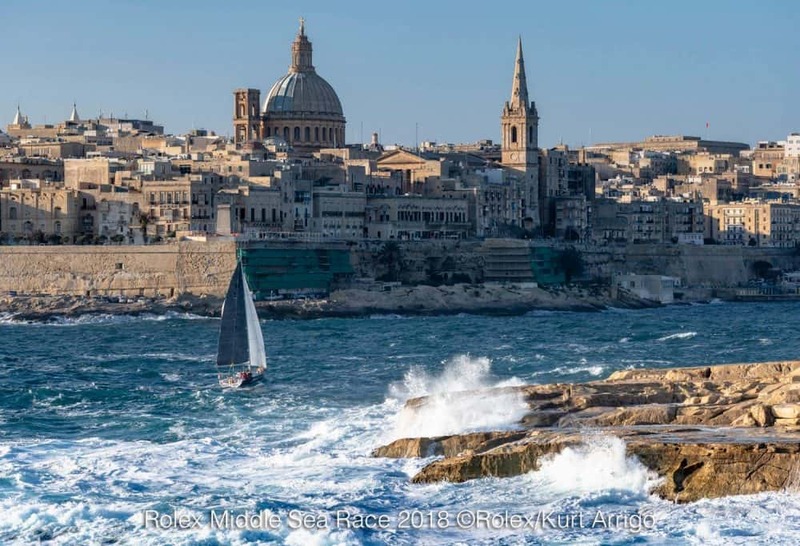 Once they have passed Lampedusa the fleet is on the home straight towards Malta and the finish at Marsamxett Harbour. 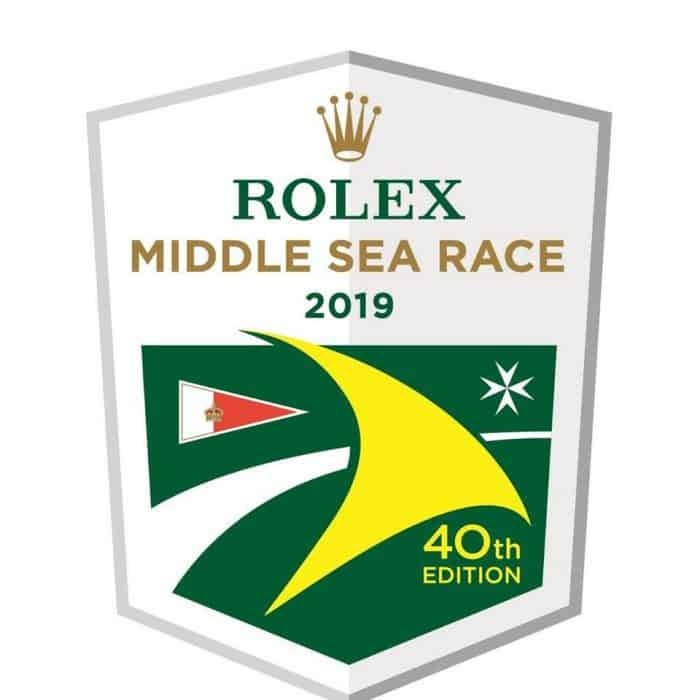 The Rolex Middle Sea Race is a challenge for both skippers and crews. Everyone has to be on their A-Game to cope with the demanding and often changeable conditions on the 606nm course. A whole boat racing charter for this event is a once-in-a-lifetime challenge for a team, but we can also help you find an individual spot if you prefer to join a crew.